Yum!! Baked potatoes are one of my favorite foods ever! Trouble is they take so long to cook. This takes at least half the time, and the result is crispy delicious flavor in every bite! 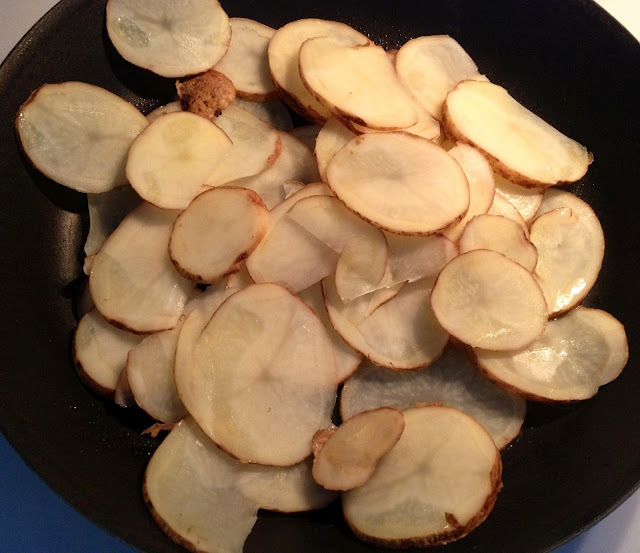 For this all you need is cooking spray or olive oil, a potato of your choosing and toppings for that potato. I would definitely recommend slicing up a sweet potato or yam and topping it with marshmallows and caramel too. Slice the potato as thin as you can get it. The thinner the slices the quicker it will cook, and the crispier the chips will get. 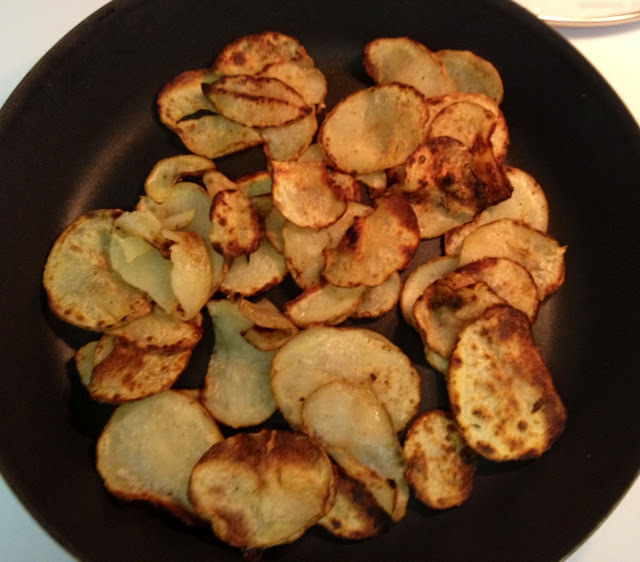 Cook until tender/crisp. I believe I cooked my "chips" for around 20 minutes. As you can see I like my food slightly burned ha! 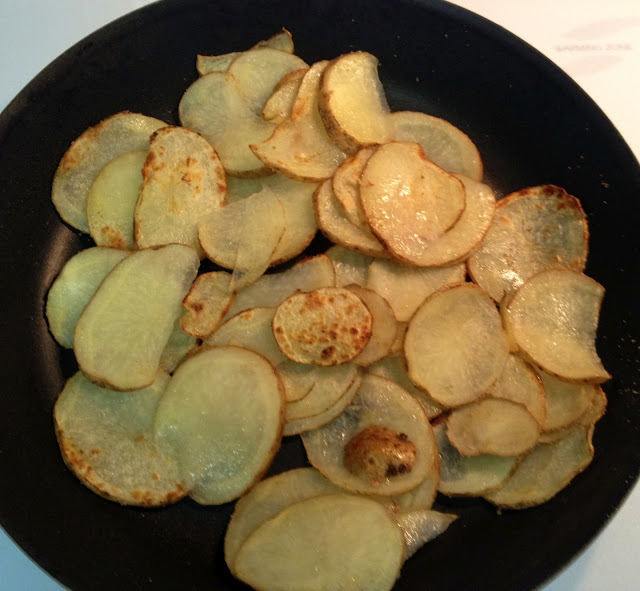 The middle of the potato is still soft just like a baked potato, but the outside has great flavor and texture. I topped mine with scallions, cheddar cheese and sour cream. Hope you enjoy! Do you have any go-to recipes when you need delicious quick, fast and in a hurry?